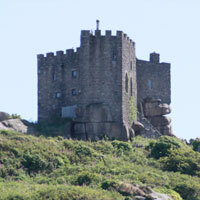 The Carn Brea Cycle Trail takes in the Great Flat Lode and starts at Cowlins Mill. Nearest pub is the Countryman at Piece. 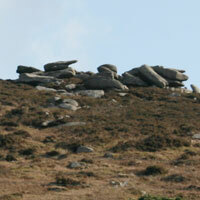 Parking – Parking just below the trail entering Carn Brea. Private property. Site of the former chapel. The first chapel was built in the 1830’s. It was one of the Redruth plan with a Sunday afternoon service and seated 210. 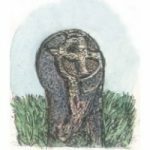 By 1849 the estimated congregation was 175 but after the division of the Methodist Church in 1849 the numbers had dwindled to 29 and 40 in the afternoon and evening respectively. 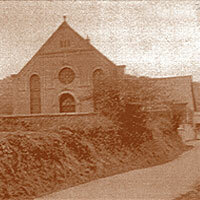 In 1851 a new chapel was built on the site of the present chapel on a lease from the Basset family. Various alterations and extensions were carried out, including in 1887 an extra vestry was built. This had a date stone of 1887 which could be confused as the date of the chapel’s construction. In 1908 the vestry was replaced by the schoolroom. It closed in 1992 and was demolished in 1996.